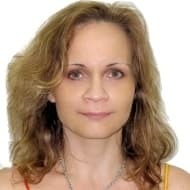 Ekaterina is a journalist covering oil, gas, energy sector, business and investments with articles published in Oil and Gas Eurasia, The Moscow Times, Russia Beyond the Headlines, The Gulf News and Al Khaleej. She holds an MBA in Management and Marketing, has a business acumen and an extensive work experience in business administration, logistics and procurement. Ekaterina also worked for a UAE based media company as a business coordinator; UN WFP as a logistics and procurement officer. How Much Pressure Will Iran Put On Oil Prices?